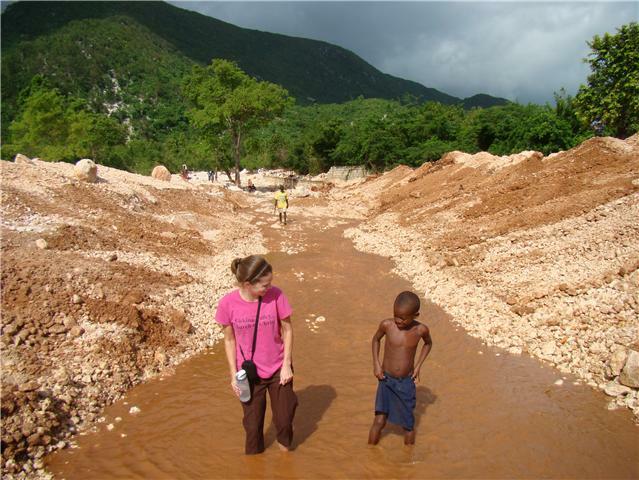 Ginny in Haiti: The smile says it all! Last Saturday we held a Microloan training seminar for 12 people. There are many people that want to be a part of our microloan program and we expand as we have the funds. These 11 women and 1 man participated in the class that last 2.5 hours. Then they are quizzed on the information provided so we know they understand the information provided. After they "pass" the quiz, we help them fill out an application and form a business plan. We asked some of our veteran Microloan participants to come and help. They broke off into small groups and listened to the struggles and successes of those who have down well in our program. These smaller groups provided an opportunity for the timid to talk and share their questions. Pictured above is Celita. She has been waiting to be accepted into the program for over a year. We are happy to have her in this program. She has one daughter who is living with an aunt bc she can not provide for her financially. She already has 2 other daughters and a nephew living with her. We are HOPEful this program can help her be able to financially care for all her children and the youngest daughter can come home. I think the smile on her face shows her thanks! Pictured above is David and Ginny working through a business plan with one of the ladies. There are more people hoping to enter this Microloan program. This small village has nearly nothing to offer work wise. But it is filled with able minded and able bodied people searching for an answer to their financial struggles. Invest Hope offers a hand up in this respect by providing interest-free microloans. We know, of course, that this does not solve their financial problems. However, if we can help families stay together by supporting parents in feeding their own children and sending them to school, while offering health, child-rearing and budgeting seminars in addition to the microloans.